On the 15th, the financial sector website was stimulated by financial data exceeding expectations. A-shares gapped higher in early trading. 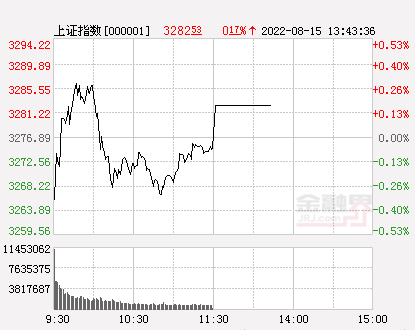 The Shanghai Composite Index received 3,200 points. After the opening, financial stocks continued to exert strength. 5G, domestic software, fuel cells, industrial marijuana and other subjects took turns. The three major stock indexes fluctuated at a high level and showed a slight decline in the afternoon. The market continued to decline in the afternoon. The GEM was the first to turn green and eventually fell more than 1%. The Shanghai Composite Index lost another 3,200 points. The Shanghai Composite Index closed at 3,177.79 points, down 0.34%, with a turnover of 355.7 billion. The Shenzhen Component Index closed at 10053.76 points, down 0.78%, with a turnover of 420.1 billion. The GEM closed at 1666.90 points, down 1.70%, with a turnover of 112.1 billion. Glyphosate, brokerage trusts, paper printing, environmental protection projects and other sectors fell. Deep into the "black hole" storm was downgraded by the fund,Visual ChinaThe limit of the limit was over 1.5 billion yuan. In January, the surrender of social data exceeded the signs of economic recovery, giving the pessimistic market a glimmer of light. In March, the manufacturing PMI returned to the dry line and continued the hope of recovery. Today, the social welfare and exports Both are much higher than expected, indicating that the logic of economic recovery has become more solid, and we can be more optimistic about the market outlook. The social and export data exceeded expectations, indicating that the logic of economic recovery is becoming more solid. We can be more optimistic about the market outlook and still maintain the view of the 3,500 points in the mid-term Shanghai index in our second-quarter outlook report. Next is also the high season of the quarterly report, we suggest to configure the return to the fundamentals, recommend two main lines: (1) the main line of economic recovery: cycle. After the social turning point is clear, the economy will bottom out in the second half of the year, and the mid-stream and downstream sectors will take the lead in recovery. In particular, some industry-recommended earnings expectations will be more advanced. We recommend: cars, home appliances, machinery, Electrical equipment, building materials. (2) The main line of foreign capital adjustment: finance. On the one hand, the valuation of most financial stocks is still low, which is a rare value. On the other hand, brokers and insurance will benefit from the recovery of the capital market. This year's performance is expected to rebound sharply from the bottom; After that, bank performance may also exceed expectations. Haitong Strategy: Waiting for future data. The basic relay in the second quarter is difficult. Core conclusions: Since the 12440 points, the valuation of the first stage of the bull market has been considerable. The current A-share valuation is close to the average of 2016, which is 30-40% since 2005, and the risk premium returns to the three-year average. 2 The second phase of the bull market needs basic relay. The leading indicators of the social welfare representative have rebounded in the first quarter. It is difficult to see the simultaneous recovery of the company's profit in the second quarter from the inventory cycle and the leading indicators. 3 Since the beginning of this year, the market's growth has been quite impressive compared to the historical annual performance. If the fundamentals cannot be seamlessly connected, it is necessary to pay attention to the risk of retracing. The so-called high mountains and high winds have both offensive and defensive phases. Considering the current overall environment, we expect the market to remain inertial in the short-term, but as the economy is not clear in the medium term after the short-term rebound, the loose expectations of monetary policy may be phased. After that, the probability will be maintained on the new platform. Concussion pattern. Considering a quarterly report, economic and financial data and expectations, market performance, and incremental funds, we believe that in the current environment, the value of blue-chip stocks with smaller gains in the previous period will have a round of upswing, which may cause the index to rise, but most stocks a situation in which the effect of making money is limited.In general, the industry focuses on cyclical products, real estate, and banks. The theme focuses on the reform of state-owned enterprises, the Belt and Road Initiative, the Shanghai Free Trade Zone, and the integration of the Yangtze River Delta. The market callback is mainly due to the fact that the previous profitable chips have fulfilled the demand, just as we have always mentioned the first winner of this year's market. Today, the second winner has arrived. We believe that the follow-up market main line should be switched from the capital-driven hotspot to the valuation of the fundamental support. In fact, the recent performance of the market performance report is better, and it has initially shown that the market attaches importance to profitability. . Under this logic, we continue to recommend the cycle section. Although the data cannot be seen in the short-term macro level, the positive changes in the early cycle of the meso level have already occurred. The steady growth expectation is superimposed on the low valuation factors, and the cyclical sector will have obvious performances, such as building materials, steel, real estate and other industries. Secondly, with the release of fundamentals and pessimistic expectations, the benefits of technology innovation policy dividends, science and technology board radiation and social financing have exceeded expectations, market risk appetite continues to be repaired, ubiquitous in power Internet of Things, 5G, intelligent networked cars, state-owned enterprise reform, etc. The concept section will usher in performance opportunities. From the initial experience of comparable bear-turning cattle in the history of A-shares, the valuation expansion of the +3M to +6M range on the bottom right side is often smaller than the initial three-month range. The degree of valuation expansion is positively related to the improvement of profitability. Among the three factors that reflect the impact of valuation, the weight of liquidity and risk preference declines and the weight of profit expectations rises. The short-term trend of the market is mainly related to changes in profitability. In addition, in the early stage on the bottom right side, after a round of complete style rotation (each style runs for at least two consecutive weeks), and the style of the previous stagflation, the market tends to oscillate. It is expected that cyclical stocks will continue to lead the market in the short term. When the shock adjustment period of historical experience is determined by the marginal weakening of corporate earnings expectations, we expect to be in the middle of the second quarter. Looking back at the early stages of several rounds of large-scale bottoms in the history of A-shares (2005, 2008, 2012 and 2013), the initial three months on the right side of the bottom, the market's rise was mainly driven by the expansion of valuation, and the bottom of actual profit is not a necessary condition. It may be accompanied by continued decline in earnings growth (such as 2005 and 2008), but entering the +3M to +6M range, the degree of valuation expansion is more convergent than the previous three months. Both the change in valuation and the trend of the overall market are positively related to the marginal change in earnings growth: 1) In 2005 and 2012, the growth rate of profit in the +3M to +6M range was basically lower than the initial three months. remained stable, little change in the valuation, the overall market at -4% to + 3% range-bound; 2) in 2008, the earnings growth of the second trimester intervals up sharply compared with the initial three months, valuations continue to expand The market rose; 3) In the second quarter of 2013, the profit growth rate of the second interval was slightly lower than that of the first interval, and the valuation contracted slightly, and the market fluctuated. From the past experience, when the core contradiction shifts from the denominator to the numerator, the A-share needs to pay more attention to the changes in the fundamentals of April-May. 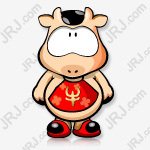 CITIC Jiantou: Credit easing is gradual, and the bull market is getting better in April. In the second week of April 2019, after the chemical sector rose sharply and the market approached 3,300 points, the market entered a short adjustment period. This is mainly because the continued easing of credit has brought about the demand for the base currency, but the central bank's suspension of open market operations has slightly raised the risk-free interest rate, causing a shift in the interest rate risk structure. This short-term adjustment constitutes an excellent opportunity for jiacang in the second phase of our bull market. From the perspective of the stock market, the market will gradually get better in April. Broad credit continues, both blue chips and growth will rise. First, interest rates have fallen, the economy has recovered, and the real estate and cyclical sectors have become the most dominant direction. They also have a low valuation and cost-effective advantage. They mainly recommend real estate, building materials, chemicals, steel, home appliances, and light industry. Secondly, interest rates have fallen, growth stocks have been around for a long time, and they have received continued support from the policy. We recommend key sectors such as electronics and communications. As the bull market continues and the board is promoted, the brokerage sector is also a highly flexible product throughout the year. The three major stock indexes rose more than 1%. The SSE 50 index rose more than 2%. The 5G concept became an absolute hot spot. In the afternoon, the banking sector continued to rise. 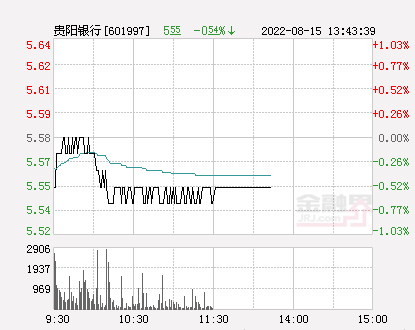 Guiyang Bank took the lead in daily limit.